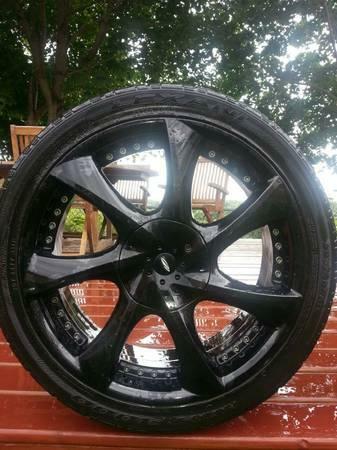 Selling 4 black rims with tires. Purchased rims 2 years ago for $xxxx. Asking $750.00 OBO.